Via press release: SHOWTIME has been honored with 22 Emmy nominations! 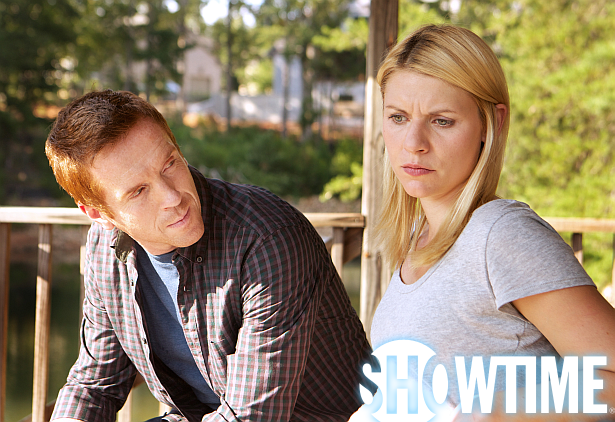 HOMELAND scored nine nominations - including Outstanding Drama Series. This is most nominations of any freshman series this year, and the most nominations ever for one of our shows. SHOWTIME is also represented in all four lead actor and actress categories with five actors nominated - HOMELAND’s Claire Danes (Outstanding Lead Actress In A Drama Series) and Damian Lewis (Outstanding Lead Actor In A Drama Series), HOUSE OF LIES’ Don Cheadle (Outstanding Lead Actor In A Comedy Series), NURSE JACKIE’s Edie Falco (Outstanding Lead Actress In a Comedy Series), and DEXTER’s Michael C. Hall (Oustanding Lead Actor In A Drama Series). Other notable nominations include: NURSE JACKIE’s Merritt Wever (Outstanding Supporting Actress In A Comedy Series) and Bobby Cannavale (Outstanding Guest Actor In A Comedy Series), and SHAMELESS’ Joan Cusak (Outstanding Guest Actress In A Drama Series). "Dexter" would have had even more nominations in it's freshman year if it had been aired on an established network and had a lead-in like Dexter to give it a head start. I wish David Nevins wouldn't keep trumpeting about "Homeland" as if it's pioneering something groundbreaking for Showtime. He's making me hate "Homeland" when I actually, I love it. Homeland was great so far, let's just hope they are able to keep it that way (kinda difficult, now that we know she's been right the whole time).